More robust & customizable reports to save you time and showcase your brand. Artwork Archive's new reporting options allow for greater flexibility & customization. 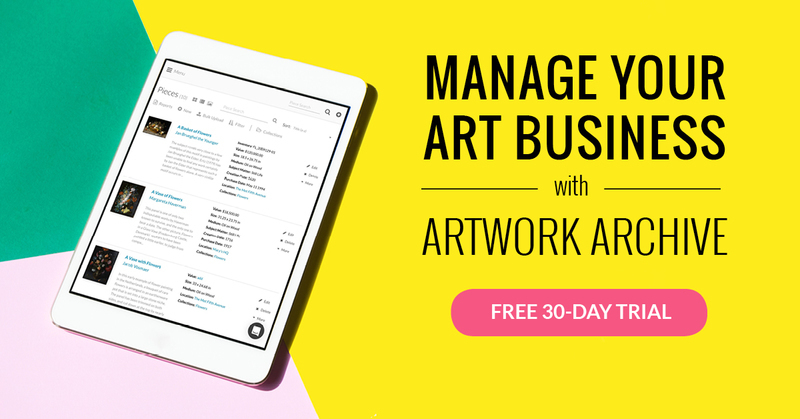 Easily brand, edit and customize your reports, making your art business even more professional. Updated reporting features help you free up hundreds of hours by creating beautiful & styled inventory lists, invoices, gallery labels and consignment reports with a click of a button. Think of Artwork Archive's reporting tool as an electronic assistant that helps you generate pre-formatted PDF lists with a thumbnail of your artwork and custom information and branding for your galleries, clients or for insurance purposes. No more fussing with design programs or struggling to format something professional in Word each time you need to present your artwork. 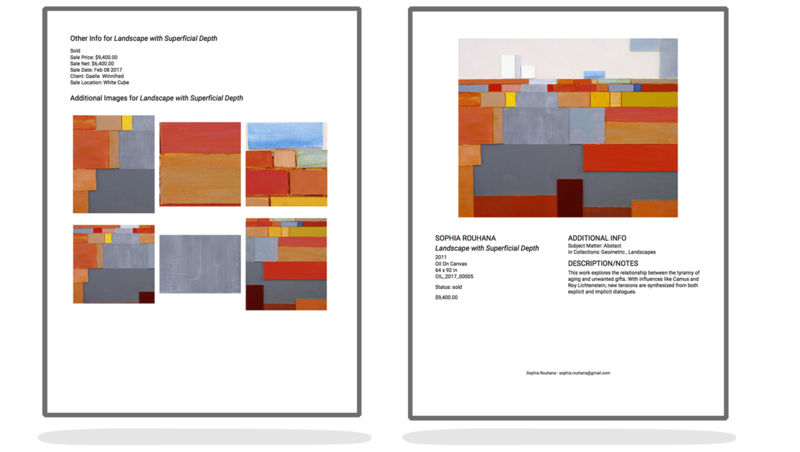 Artwork Archive's reports let you quickly produce professional reports and present your work with a polished edge. 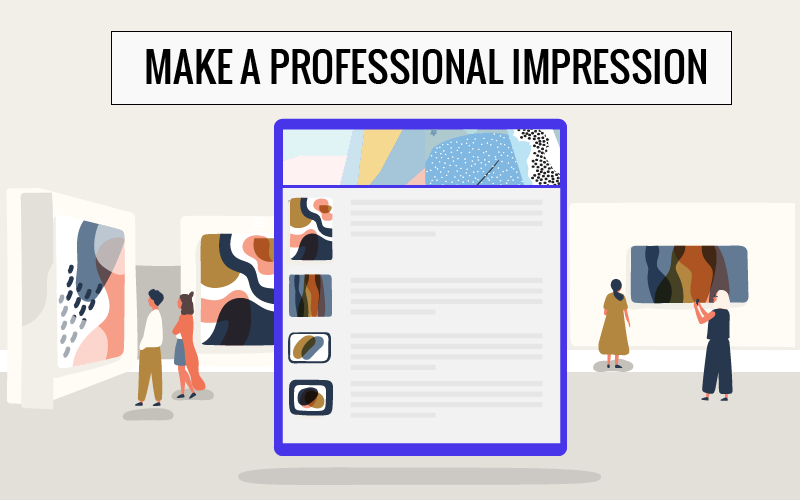 Whether it’s a professional invoice or a polished portfolio page, reports are an easy and fast way to impress buyers, collectors, and galleries alike. Here’s what’s new with reports. Header Options: Brand your reports with header customization. Upload a full-width image or add a space for your own branded letterhead. Learn how here. Edit & Regenerate Past Reports: Made a mistake? Forgot to include an artwork in a report? Or just want to duplicate a similar report with a few changes? You can now edit past PDF reports and save time generating reports. Introducing Tear Sheets: In addition to inventory reports, we now have options to produce pre-formatted PDF tear sheets for your art inventory. 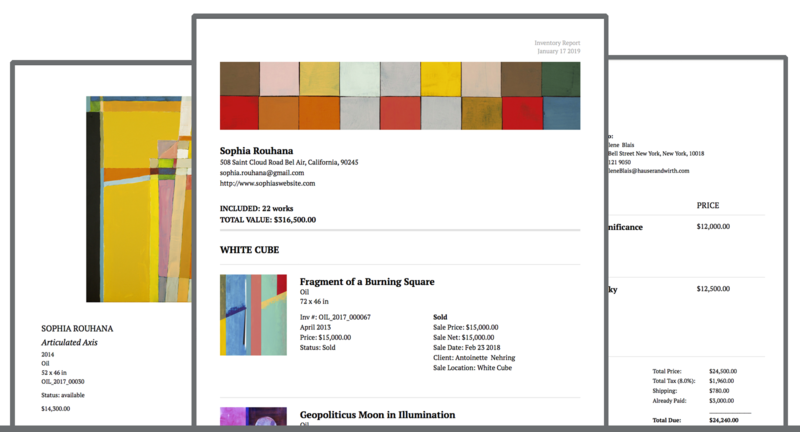 Get a quick overview of your inventory and where it is located with up to 15 images of your artworks on each tear sheet page. New Font Choices: Style your reports with a universal serif or san serif option. Design Updates: Reports have been refreshed with a sophisticated look & more layout options. Powerful Portfolio Pages: You can now add supporting images to Portfolio pages for all the detail or installation shots & add custom names to the reports. Have your artwork ready to send off at the blink of an eye. Portfolio pages are a great way to show interested galleries and buyers what is available to consign or purchase. You can choose the information you want to share including title, size, artist name, description, price, inventory number, creation date, contact information and additional images. Promote your work with a beautiful and informative portfolio page. Gallery Labels: New options have been added for gallery labels, including the ability to include thumbnails to your labels. Plus, labels now conform to set Avery label standards and universal hangtag conventions. Easily print off gallery labels through Artwork Archive. You can choose to display your name, the title, dimensions, inventory number, price, and/or a description of the work. It’s as simple as that! You’ll be all set to impress at your next art show, festival, or solo exhibition. Or use them to attach to the back of paintings or other artworks when you ship them to your gallery to ensure all the correct information gets translated. Provenance reports are on the horizon along with a few other bonus updates to Artwork Archive reporting. We are looking forward to making 2019 the biggest year yet and are excited to continue bringing you new and innovative features for your art business. Generate a new report or sign up for a trial and get started impressing your clients!